As more of us are drawn to life in big cities, we become increasingly aware of the confines of inner city living. Rising rents and mortgages often mean choosing smaller living spaces, but don’t let that keep you from making the most of what your home has to offer. Tiny bathrooms can be given a whole new lease on life by looking to the East for interior style inspiration and employing simple tricks to make the most of a confined space. Japanese interior design places great emphasis on the role and function of the bathroom within the context of the wider household. The japanese style bathroom is not simply a place for scrubbing off the dirt of the day, but is a space for contemplation, relaxation and above all, pleasure! To cater to this, the bathtub generally functions as the centerpiece of the room and the remaining features serve to complement its presence. Think beautiful stone and ceramic, overstated forms surrounded by pebbles or granite steps. While many inner-city bathrooms may not have the floor space for a spacious day-spa-esque bathtub, the following ideas will help transform your dark and dingy washroom into your own personal zone of bliss. The typical bathroom often falls victim to unsightly clutter as we try to cram all of our products and furniture into a tiny room. Finding attractive storage solutions “after the fact” can be tiresome. 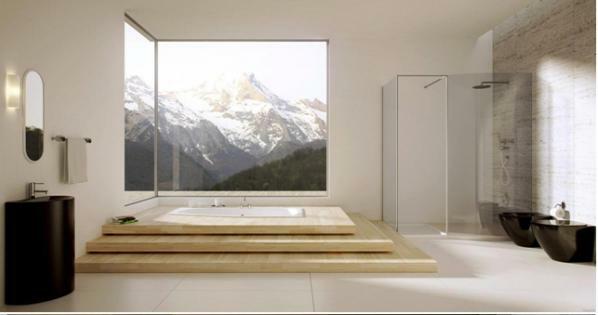 Starting with a clean and minimalist aesthetic – the essence of simplicity – will help to alleviate the eyesore of bathroom products later down the line. Drawing on naturally inspired, monochromatic or neutral tones will help to create a sense of balance and harmony in the room. It will also maximize the use of natural light for those bathrooms with small or no windows, and will help give the illusion of more space. Your choice of fittings should echo this sense of simplicity and harmony. Modern, sleek and clean are key here. 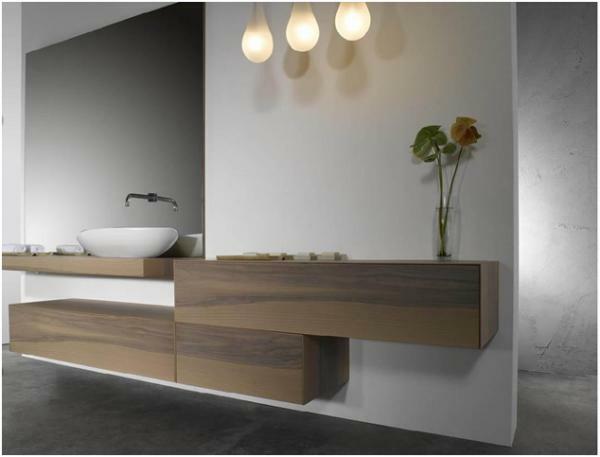 Your bathroom fittings should not draw particular attention to themselves in contrast to the other features of the room. Think minimalist and chic with a chrome or natural finish to perfectly complement the understated and natural tones of the floor and walls. When lacking in floor space, set these within a simple and elegant open shower in lieu of a more typical Japanese bathtub. Looking to Japanese aesthetics for interior design inspiration shouldn’t be an exercise in prudent self-constraint. There are still plenty of ways to express a sense of personality and individuality in your bathroom while staying true to the ideals of Japanese design. Consider experimenting with textured finishes and materials rather than contrasting colors and images when deciding on the foundation of your bathroom’s design. Create harmony and beauty by contrasting traditional wood panelling with more modern glass and ceramic fixtures. Experiment with various stone textures while still making use of calm, neutral tones. Get creative and consider bringing more greenery into your bathroom. There are many plant varieties that thrive with limited care in the humid conditions of a bathroom, and the rich, lush green will contrast beautifully with the natural tones of the room. Don’t allow a cramped, tiny space discourage you from creating a warm and inviting bathroom for your family, guests, and most importantly: you! 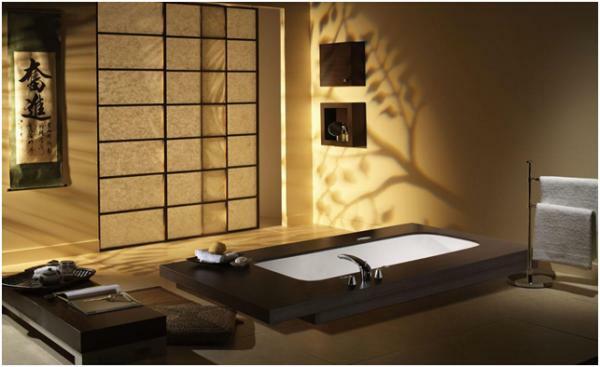 Rediscover your bathroom as a place for relaxation and pleasure with inspiration from beautiful Japanese interior design.